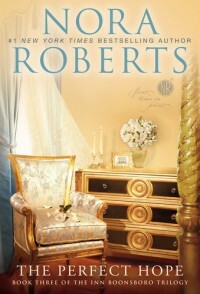 So Nora Roberts is my all time FAVORITE author, if she's written it, I’ve read it! I just wish she had more new books come out instead of reprints! This is the third and final book for the Inn Booneboro Trilogy and it was everything I was hoping for! It is a sweet romance, with just enough punch in it to keep you interested throughout the whole book. I have LOVED Hope since the very first book, she may come across as a little snooty and stuck up… but she was done wrong by a man (of course) and so she is just trying to make the best of everything, which to Hope meant completely uprooting her life and moving to Boonsboro. Then there is Ryder, of all 3 brothers he was always my favourite, and right from the first book I was so excited to read his story especially when I realized he was going to be paired with Hope. Nora Robert is an outstanding author, her ability to create such perfect and sweet romances is phenomenal, and to do it while making the readers fall in love with her characters? Is there any reason why she is my favourite author? Didn't think so… I think the absolute best part for me in this book was when Hope stood up for herself against the slimy ex bf. It was heartbreaking knowing the pain she was trying to hide behind a false bravado, but she did so with class and I was left with no doubt that he got the point… plus there was no way that slimy ex bf could stand a chance when compared to Ryder! Overall, if you are looking for a simple romance this is definitely a series that you should check out. 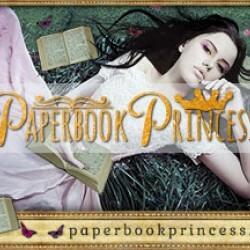 As with all of her books, they are not exactly mind twisters, but they are simple sweet romances and really? Who doesn't enjoy one of those types of books from time to time?